Caption: From left: Chief Neville Tomkins, Mr Ziad El-Daoud & Mr Muhammad Mehio. 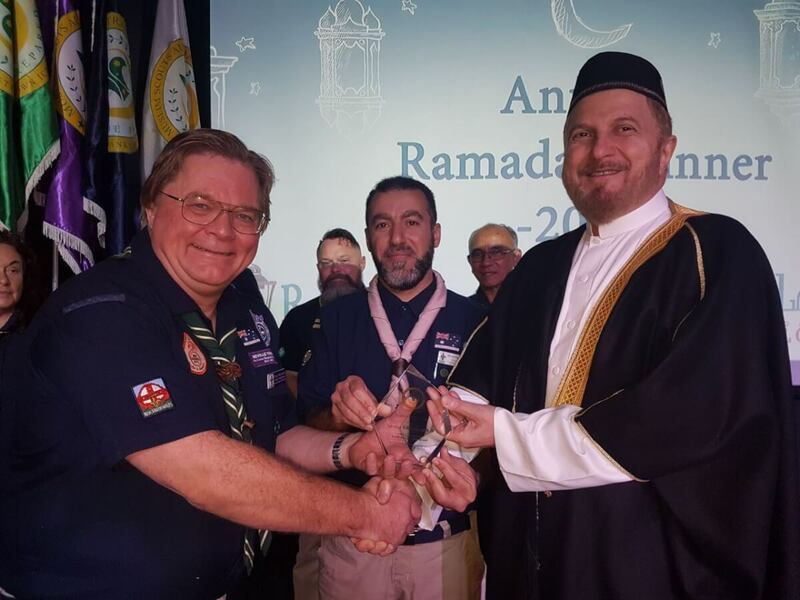 The Muslim scouting in Australia – 5th Bankstown ICPA and Liverpool Scout Groups – hosted the Annual Ramadan Dinner on Sunday 18 June at Al-Amanah College in Liverpool. Distinguished guests at the Iftar included the President of ICPA Australia Mr Muhammad Mehio, ICPA Manager of Sydney Branch Mr Muhammad Chams, Darulfatwa representative Mr Wissam Saad, Principal of Salamah College, Mr Ayman Alwan Principal of Al Amanah College, Dr Rafic Hussein President of Muslim Community Radio 2MFM and Mr Omar Taiba President of Spears Sport Club . 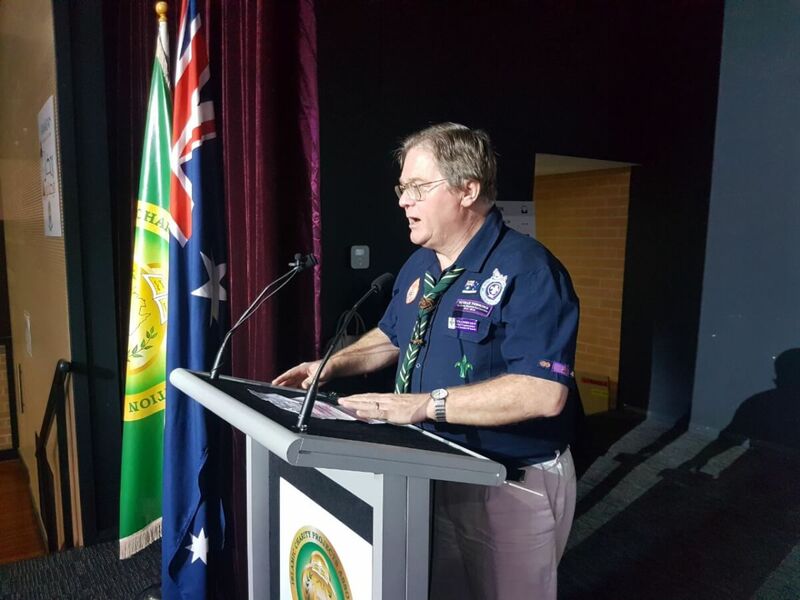 A group of Australian Scout leaders attended the event led by Chief Commissioner Neville Tomkins OAM, South Metropolitan Region Commissioner Brian Davidson, Hume Region Commissioner Suzan Barlett, Deputy Chief Commissioner Belinda Francis, Community Liaison of Diversity John Pestana. Representing Commander Superintendent Dave Eardley of Bankstown Police was Georgina Zeinelddine Multicultural Community Liaison Officer from Bankstown Police LAC. 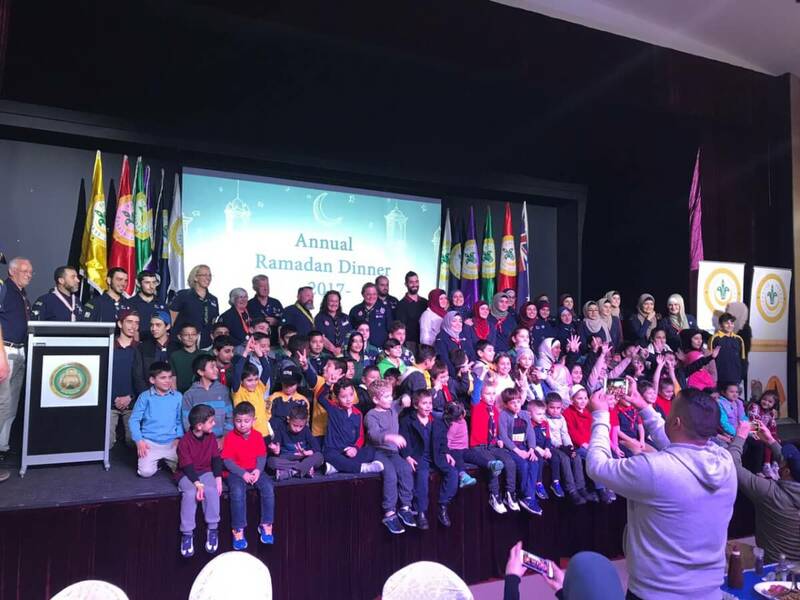 A large number of families from both Scout Groups were also present at the Iftar. 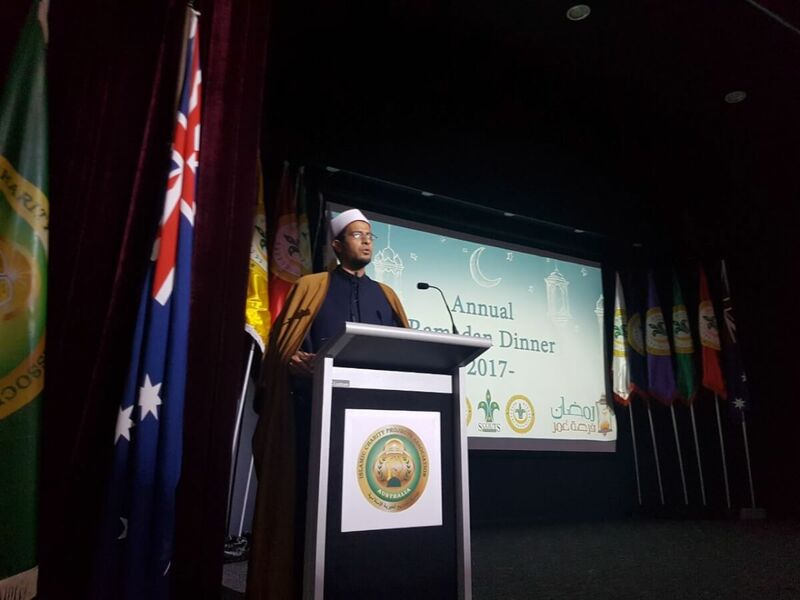 The program started with a Quranic recitation by the Egyptian Imam followed by the Australian National Anthem. 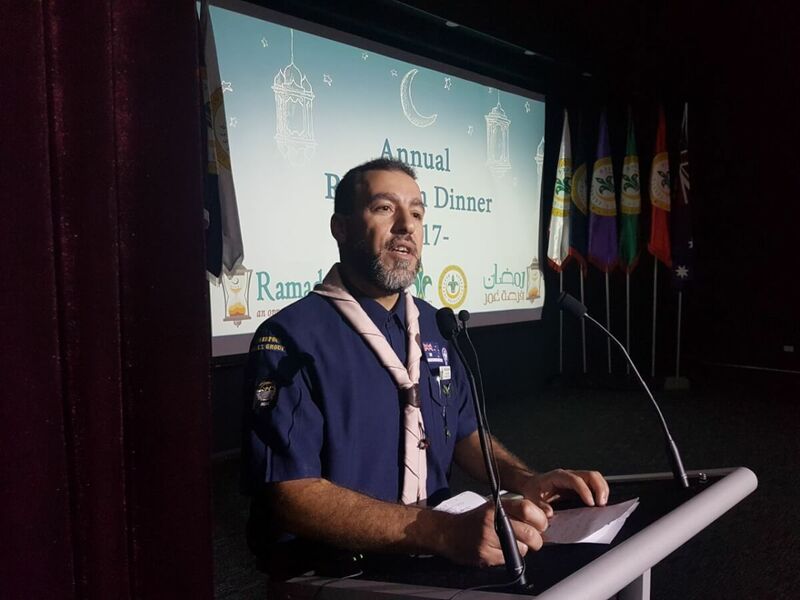 Liverpool Scout Group Leader Mr Ziad El-Daoud informed that both Liverpool and 5th Bankstown ICPA Scout groups have over 160 registered members. Within the first 3 years of starting, the Liverpool Scout Group has risen to the top 3 ranking in the Liverpool Region. 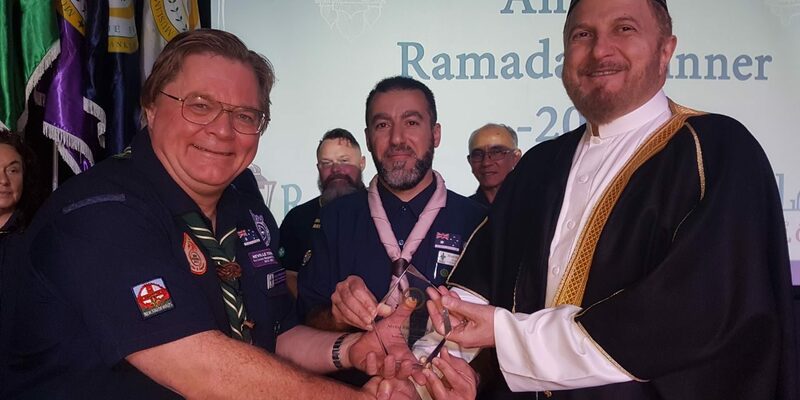 The President of ICPA Australia Mr Mehio and the Muslim Scout Groups presented a trophy of appreciation to Mr Tomkins for his ongoing support towards the Muslim Community. 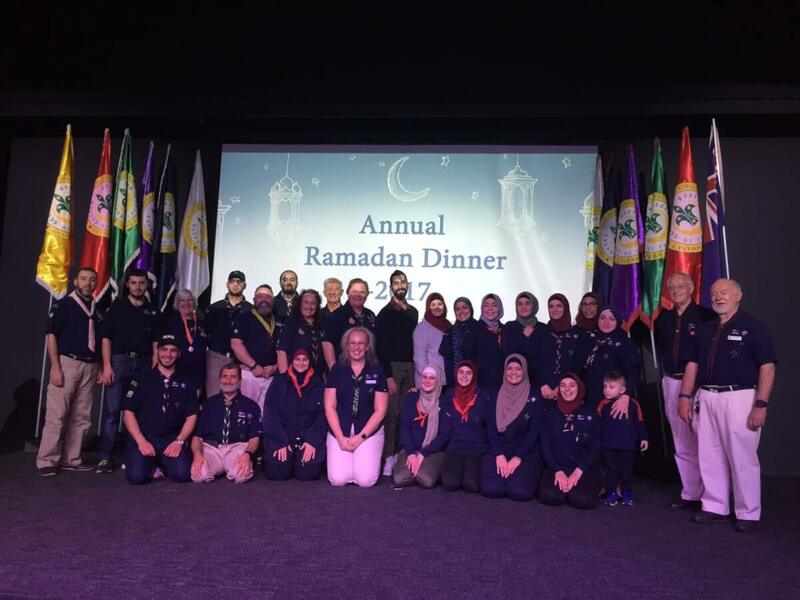 Chief Commissioner Neville Tomkins OAM was delighted to attend the Annual Ramadan Dinner. 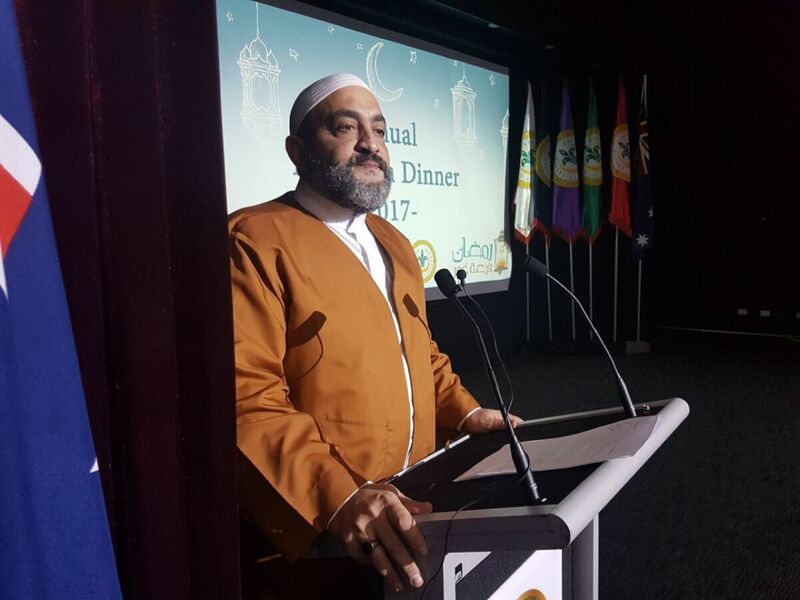 He congratulated and praised the Muslim Community for their interaction and effective way of communicating and engaging with the mainstream Australian community. 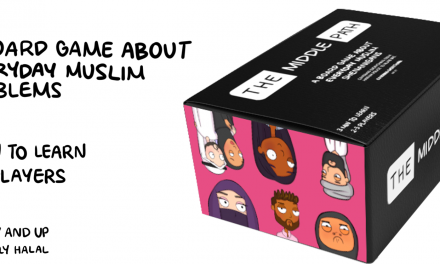 Recently appointed Deputy Chief Commissioner Belinda Francis is working closely with the Muslim community in order to increase participation. Representing Mr Dave Eardly, Commander Superintendent of Bankstown police was Georgina Zeinelddine Multicultural Community Liaison Officer NSW Police Bankstown LAC. 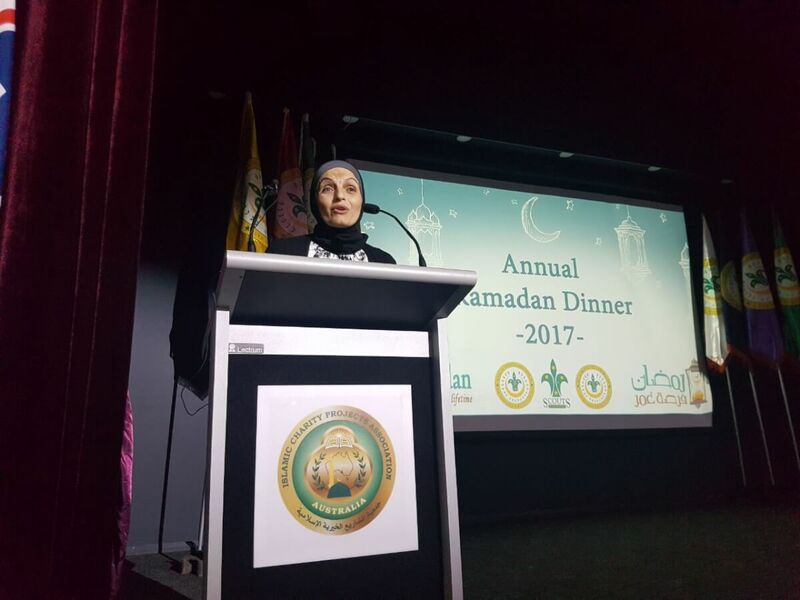 She recognised the Muslim Community’s close cooperation with Bankstown police in all its work. 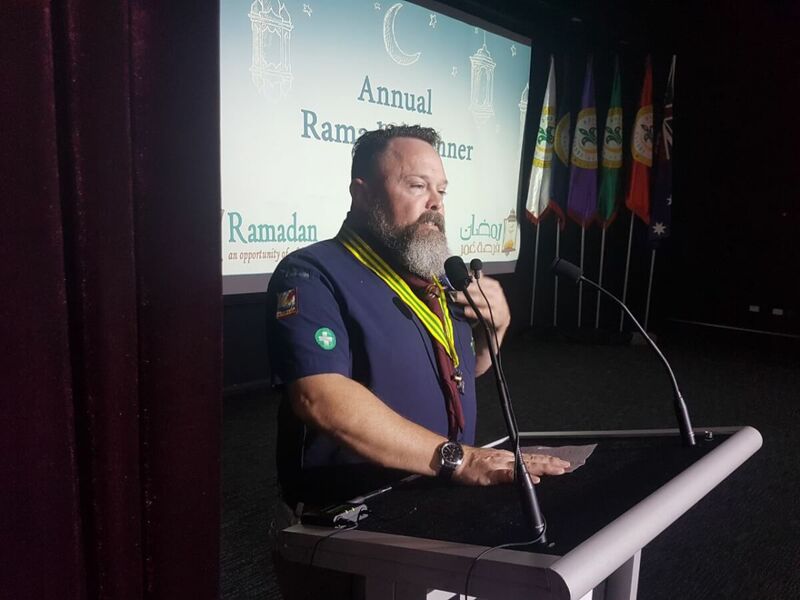 South Metropolitan Region Commissioner Brian Davidson was delighted to be part of a fantastic celebration of both scouting and faith and acknowledged the diversity which was presented throughout the night and the achievements that were fulfilled by the members from both scout groups. 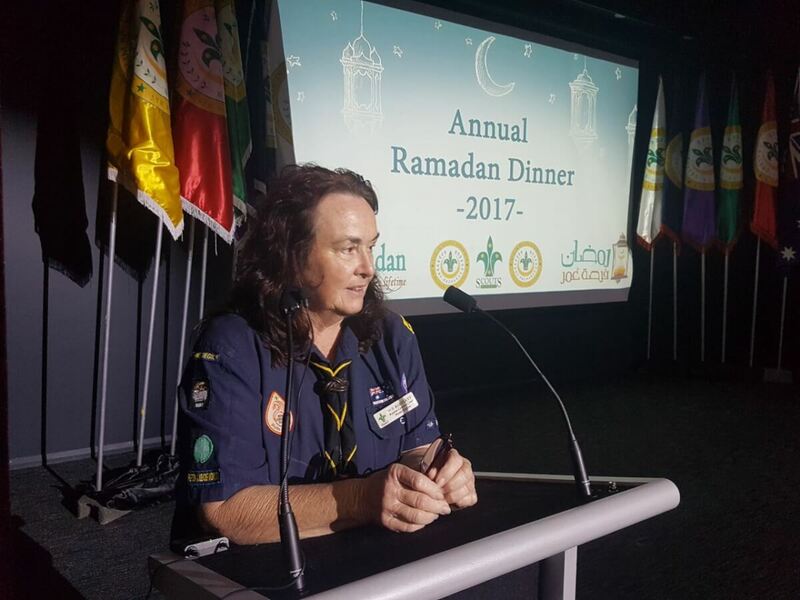 Hume Region Commissioner Suzan Barlett acknowledged the challenge that was set upon the 1st Liverpool Scout Group and invited both Scout Groups to attend the Girls Environment Camp in September 2017. A video presentation displayed the weekly activities, camps, excursions and participation in community projects of both scout groups during 2016 to 2017.